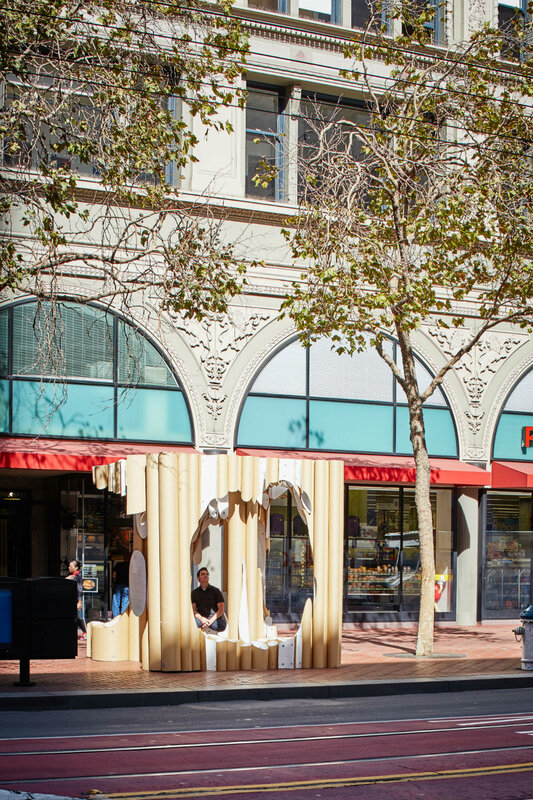 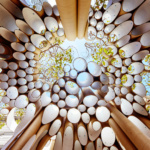 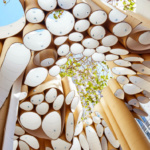 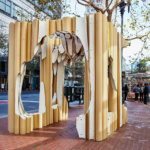 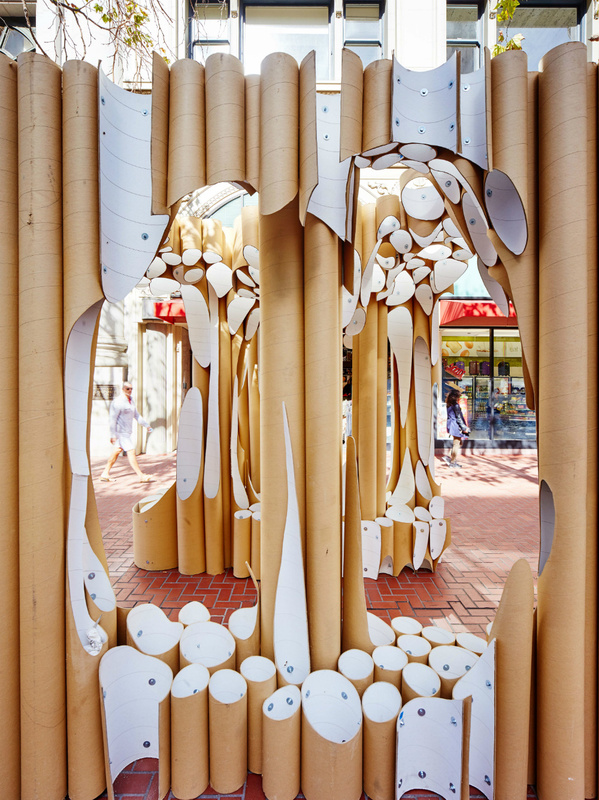 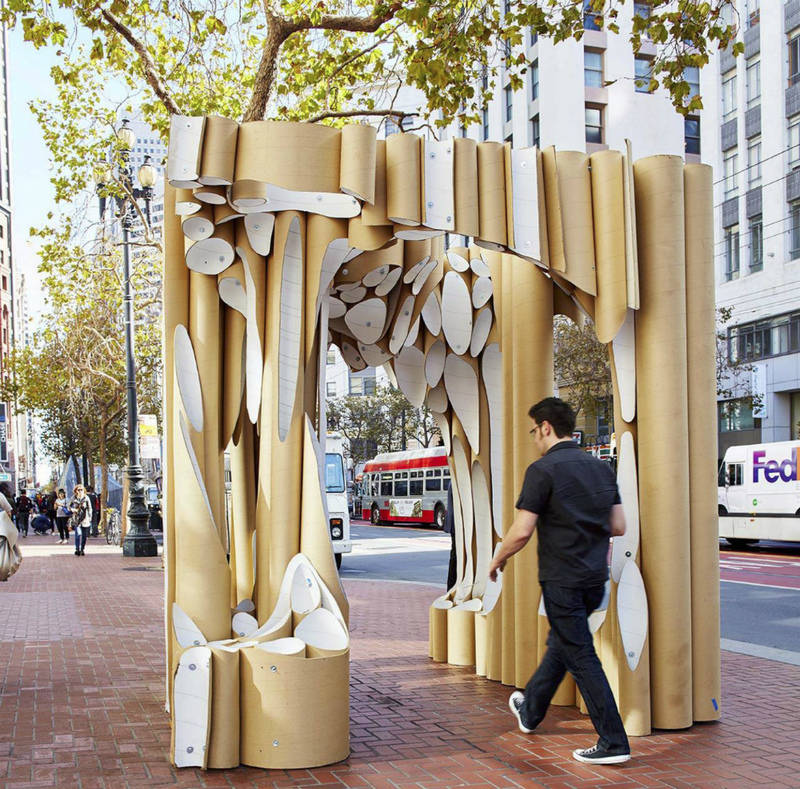 Kuth Ranieri Architects’ pavilion made out of cardboard Sonotubes (prefabricated tubular formwork for casting concrete), created for this year’s Market Street Prototyping Festival in San Francisco, has earned the firm a People’s Choice award. 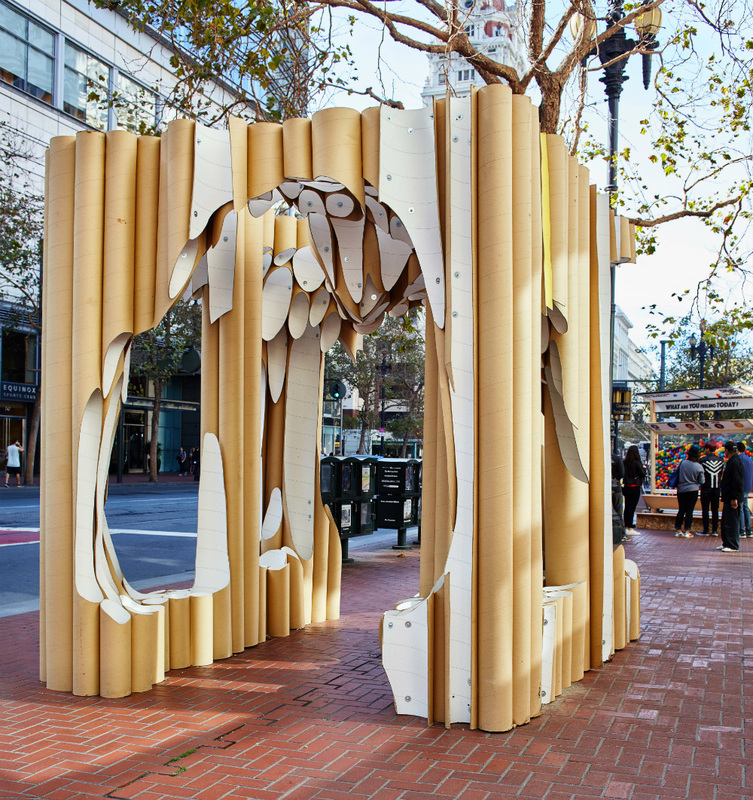 The festival was sponsored by the San Francisco Department of City Planning and Yerba Buena Center for the Art. 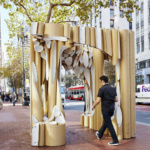 It’s also the by-product of extensive community outreach by the department aimed at uncovering new, innovative ideas for enhancing the quality of life along Market Street in downtown San Francisco. 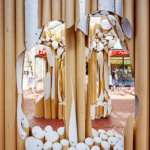 As such, the festival organizers sought to engage at the community level through a design-oriented street festival. 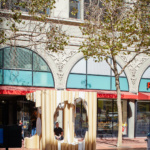 The three-day festival brought thousands out onto the Market Street corridor along three areas spanning from the Yerba Buena Center for the Arts on one end to the Embarcadero on the other to display a myriad of pavilion ideas that spanned in concept from architectural follies and performance-oriented displays to even, a miniature forest. 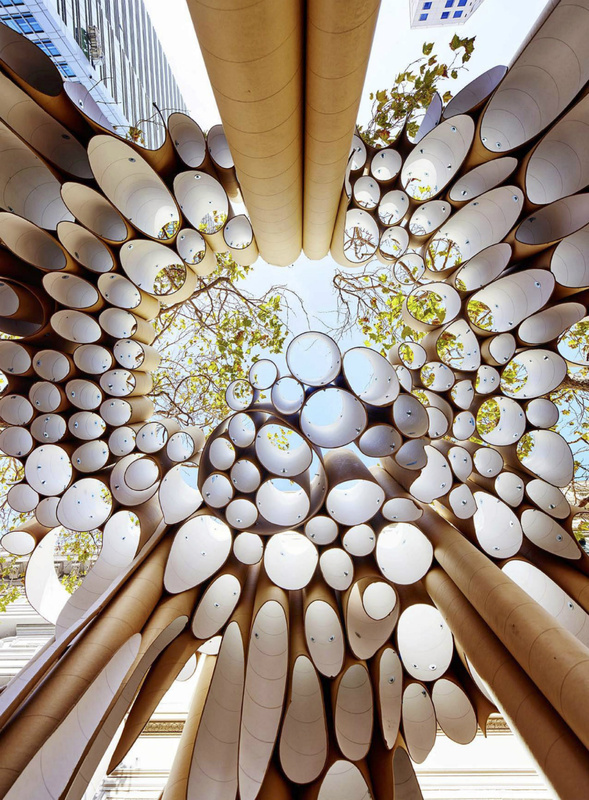 For more information on the other pavilions, see the festival website.